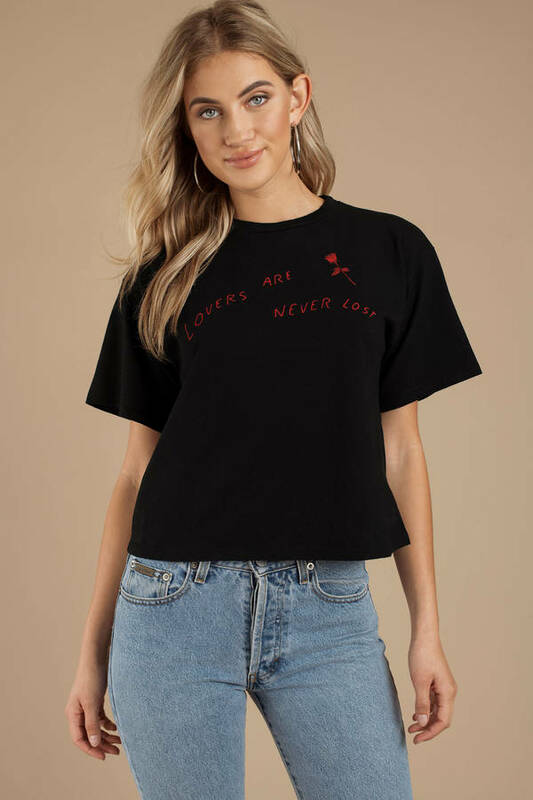 Check out Tobi's Lovers Are Never Lost Tee Channel your romantic side with the Lovers Are Never Lost Black Tee. This slogan tee features short sleeves, crew neckline, and writing with a single rose. 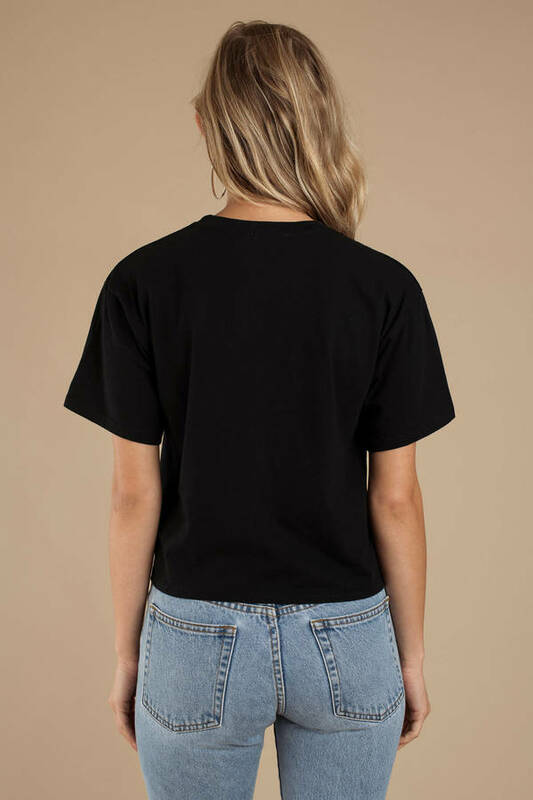 It's true you know, lovers are never lost, so grab your favorite lover for a day date and pair this short sleeve tee with overalls or high waisted denim. 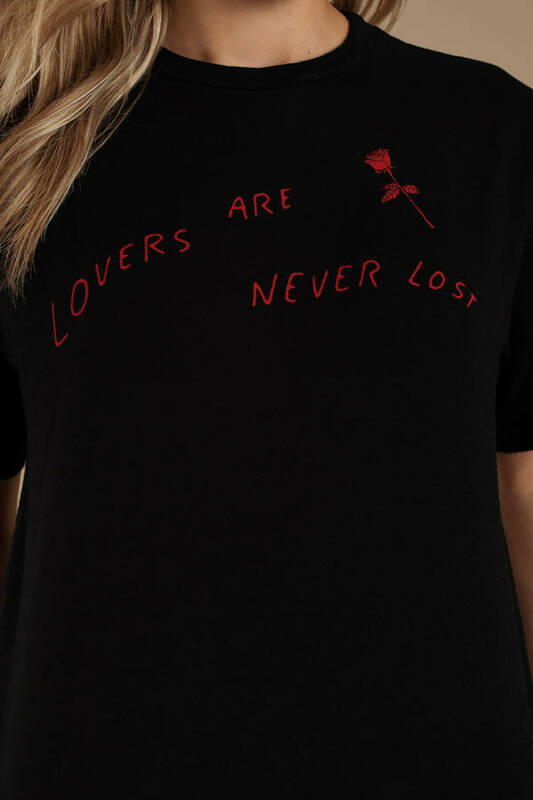 Channel your romantic side with the Lovers Are Never Lost Black Tee. This slogan tee features short sleeves, crew neckline, and writing with a single rose. 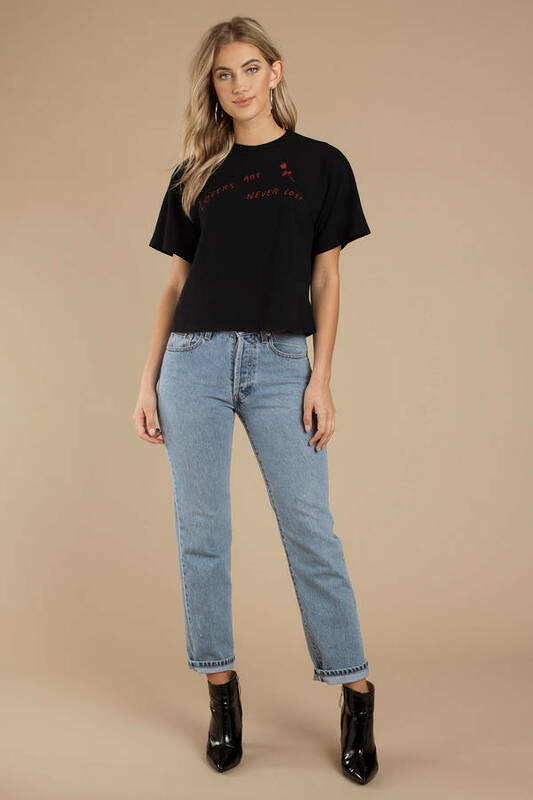 It's true you know, lovers are never lost, so grab your favorite lover for a day date and pair this short sleeve tee with overalls or high waisted denim.